Having a naughty dog is hard, but there are many really wonderful dog trainers and behaviourists in Cornwall who can help. Having a naughty dog is hard, but there are many really wonderful dog trainers and behaviourists in Cornwall who can help. This week we’d like to introduce you to Shona Moon, of Come to Heal. 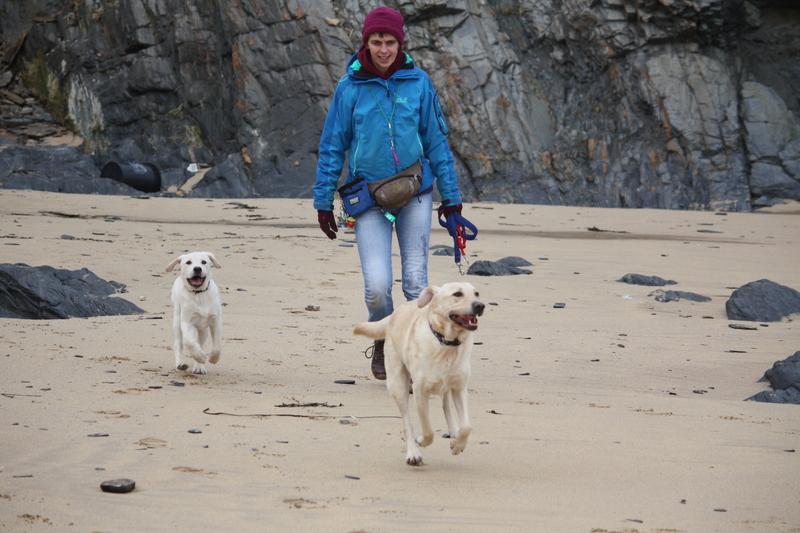 Shona has worked with dogs for many years, having started out working with rescue dogs. 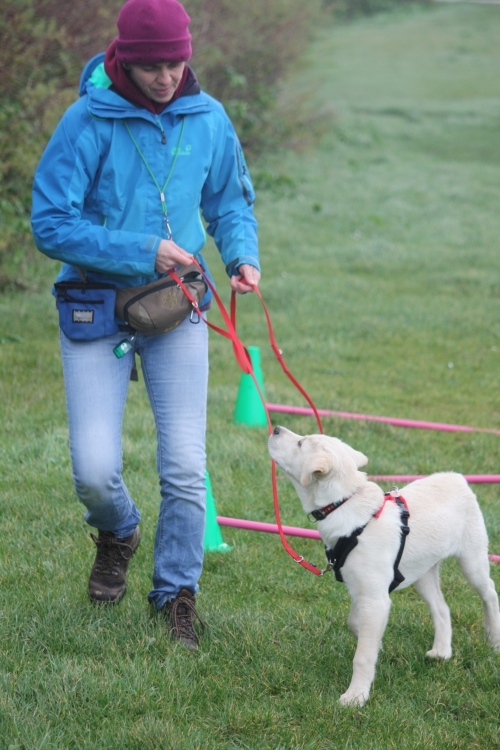 Uncomfortable with the traditional methods of some obedience classes, she researched the topic of dog behaviour and eventually gained a Certificate of Advanced Canine Communication and she has updated her skills ever since. “This is a wonderful practical way in which everyone can help their dog relax and improve their mental physical and emotional well being ~ in short you enable your dog to be the best that they can be,” says Shona. Shona offers one to one consultations in TTouch and behaviour in the comfort and security of your home as well as outside socialisation with her own dog Barney Moon. She also runs TTouch workshops throughout the year. “Currently I have two Yellow Labradors, Barney Moon who is four years old and Star who has just turned five months old. Barney Moon has been with me for nearly two years~ I met him through my work with Labrador Rescue. He is an Old Soul in so many ways and is also my work buddy helping dogs to relax and overcome their fears. “It takes a lot of courage to ask for help with your dog,” she adds. “My emphasis is on working with you and your dog. Feedback as always is very welcome.